Would you like an Uzi with that order? 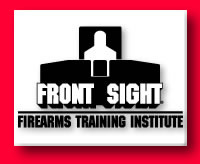 Students in Front Sight's free one-day Uzi class are taught the basics in gun safety and firing, and how to stop an attacker with three shots to the chest and one to the head. FRONT SIGHT, Nev. —; Australian journalist Gerard Ryle looks nauseous as he retreats from the firing line cradling his 9mmUzi. In the background: a paper silhouette of a person obliterated by a single pull of a trigger and 20 successive blasts. Outsiders might relate. But most folks locking and loading here on a remote desert shooting range are gun enthusiasts eager to drive 48 miles west from as Vegas for a sure shot at trigger happiness. They are the "us" in the us-and-they sales pitch that distinguishes between Second Amendment advocates and adversaries, a wedge plied as a bridge to the nation's first gun-resort town. "Every time they pass another gun-control law it drives more people to us," says town founder Ignatius Piazza, speaking to a group of police officers, bellhops, lawyers, stockbrokers, school teachers and the like, gun owners lured to a desert schvitz by the promise of firing an Uzi. It's the same glamour weapon, Piazza tells the group, that was whipped from the jackets of the Secret Service 19 years ago when John Hinckley shot President Reagan. "Anti-gun people expect to see Bubba, his redneck buddies and a bunch of neo-Nazis, but they're not going to find that here. They can't say we're training militia or training terrorists when we have law enforcement officers in every class here." Here is Front Sight, Nev., a developing town named for the part of the gun barrel used for aiming, and a concept visible only in Piazza's imagination and eight architectural renderings — framed, matted and showcased on easels in a huge tent pitched alongside cactus. Piazza promises resort like no other, a gun-toting gated community where home security systems are strapped to swaggering hips (although you don't have to shoot a gun to live here) and crime rates are zilch. "Wouldn't it be nice to live in the safest town in America?" he asks the assembled shooters, presumably intoxicated from the recoil of an Uzi. "We won't have any crime at Front Sight, not with everyone trained in firearms and most everyone owning them." This loaded version of Darwinism is projected to include12 shooting ranges, an assault tower, 400 yards of training tunnels, 177 home lots, a convenience store and a private K-12 school spilling across 550 acres from Clark County into Nye County, a southern swatch of Nevada better known for its mobile-home bordellos. Initial bureaucratic blessings have been given and the infrastructure is in the ground. Plans call for a community by the fall of2002. U.S. stereotype: handguns and gun collectors. The foreign journalist Ryle is intrigued with a particular chatty class member named Martin Laetsch, a 30-year-old Intel Corp., manager from Portland, Ore. Laetsch is a collector of World War II German automatic guns, and an expectant father who keeps a handgun locked in a safe near his bed. "It is such the image of the typical American, "Ryle says. Laetsch, small in stature, is no slouch with a rifle. On each command of an ex-Marine and Front Sight shooting instructor, he pierces the chest and head of his target, then reloads. On the horizon you can see Nevada's snow-capped Mountain Springs Summit, an odd juxtapose to these games. "You do everything you can to make sure you don't get in a position where you have to use a gun," Laetsch says, "but if you do, you need to be ready to pull the trigger." Piazza alternately refers to Front Sight as a Disneyland or Pebble Beach for the nation's 80 million gun owners. Last year he moved most of his Sight Firearms Training Institute across the border from its base in Bakersfield, Calif., where automatic weapons such as the Uzi are outlawed for private citizens. "The man is a visionary says Tanya Metaksa, a senior advisor and former chief lobbyist for the National Rifle Association, here on her own time for the free one-day Uzi class. "I think the idea is great. I hope he succeeds." Front Sight, Nev., lures potential buyers with a free one-day Uzi class that has visitors digging into buckets to refill their clips. The novelty of Front Sight has captured the news media's fascination, some of which have made it sound like honey already flows on this land dubbed by foreign press as Gun City, USA. That explains Ryle's presence here, and his reluctant grip on an Uzi. Like all journalists wishing to interview Piazza, Ryle, a reporter with Australia's Sydney Morning Herald, must learn the finer points of shooting an assault rifle. The idea is to arm the so-called liberal news media with proper perspective. All the better if journalists come away seduced by a submachine gun's virile rat-a-tat-tat. "I look forward to a positive story," Piazza tells this reporter more than once, one day after several hours were spent on the shooting range. Piazza, 40, is a master marksman and marketer tan from shooting guns in the desert. He is also a former chiropractor who frequently commutes here from his $700,000 beach home near Santa Cruz, Calif., then makes a two-hour sales appeal that's about as subtle as the Sunday collection plate. To potential buyers, he even invokes Spike Lee: "How many of you believe in what we are doing? Well, then, I am going to ask you to do the right thing." Chris Fisher believes he did. He bought a lot and plans to someday move his family here. The executive consultant and father of three from Sacramento, Calif., likes to target shoot with his 10-year-old son. It's a sport, he says, no different than a father-son golf tandem: "Ilook at this as an opportunity to help (Piazza) perpetuate a very positive message about gun safety and gun ownership." Developer and master marksman Ignatius Piazza aim to use his gun-resort community to improve the image of gun owners "not only in this country, but the entire world." Pacing in front of a small group of predominantly white middle-aged professional men Piazza dons a headset mike and evangelizes about the glory and potential of Front Sight, its $275,000 one-acre lots and its impact on society. It soon becomes apparent his vision — or at least his spiel — is as much about politics as profits. "If everyone was trained in guns there would be no debate about gun control in this country," he says. "It would be a moot point. Everyone would know how to handle a gun safely. Everyone would know how to be responsible with a gun. Everyone would know how to protect themselves should they be accosted. ...Training is the one thing the government will never be able to legislate away from you. Front Sight, he says, is about changing the stereotypical view of gun owners. Despite construction snags and dueling lawsuits between Piazza and his initial contractor, three dozen home lots have sold, he says. They come with Front Sight's Platinum membership, which includes, among other things, unlimited use of shooting ranges and facilities, free gun cleaning, a leather holster, a heavy-silver card to carry in a coat pocket ("This way when you sweep your coat back to grab the pistol from your hip, the weighted garment swings further back"), a free Uzi (if payment is made in full). Uzi class member Bruce Baker isn't buying it —the Front Sight membership, at least. An elementary school teacher from Los Angeles County, Baker, 38, likes to hunt wild boar, target shoot with his wife, and ride mountain bikes with his five sons. He's not going to live in a town built around a single activity, guns, golf or otherwise.